The Olive Tap is proud to announce our new line of dried pastas. All-natural, using ingredients you can buy at the store, our pastas are the closest to homemade we have ever found! Our unique flavors are sure to please your palate, especially when drizzled with our 100% Extra Virgin Olive Oils or Flavor Infused Oils. 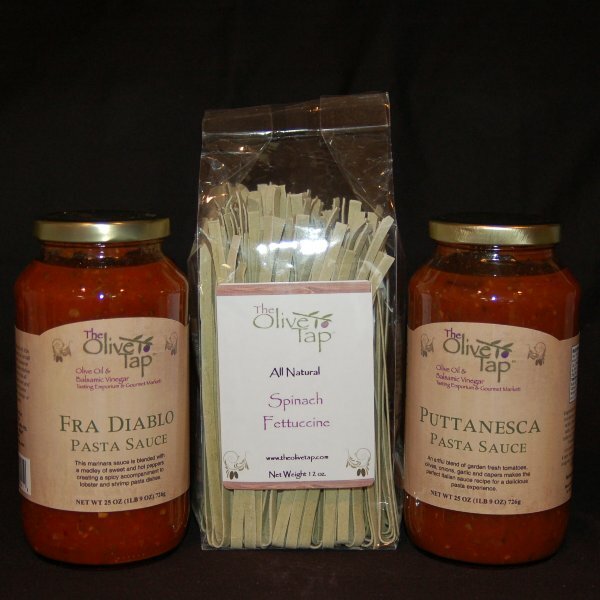 To complement our new pasta line, we have also expanded of line of Olive Tap pasta sauces. Our handmade sauces are prepared in small batches from only the freshest, finest ingredients.